Dr. Dulske is a Texas Tech University School of Medicine graduate, where he graduated fourth in his class and received an award for excellence in neuroscience. He then attended the University of Mississippi Medical School and completed an internship in orthopedic surgery. Following his internship, he completed an orthopedic surgery residency at the University of Mississippi Medical Center before completing his fellowship in arthroscopy and sports medicine in Philadelphia, where he was awarded the Philadelphia Orthopedic Society for Sports Medicine Award for Academic Excellence. 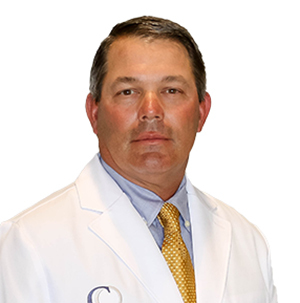 Dr. Dulske is a Board Certified Orthopedic Surgeon who holds professional licensure in both Mississippi and Texas, as well as a subspecialty certification in orthopedic sports medicine. Dr. Dulske also heavily prioritizes individualized patient care and brings with him decades of experience in general orthopedics, sports medicine and arthroscopic surgery of the upper and lower extremities, as well as partial and total knee replacements. At the end of the workday, Dr. Dulske enjoys golfing and spending time with his four kids and his wife of 30+ years, who he happily says is the most wonderful woman in the world. Specialties Include: Sports medicine and arthroscopic surgery of the upper and lower extremities, general orthopedics, partial and total knee replacements. Under the care of nine board-certified surgeons, physical therapists, and a growing support staff, Capital Ortho has provided – for the past 30 years – general and specialized orthopedic care for patients all over the state.